The introduction of TouchID meant that iPhone and iPad users no longer had to remember another of those pesky four-digit passcodes to unlock their phone. All they had to do was scan their fingerprints on the home button to get in. As simple and effective as it was, TouchID could be seeing further improvements in the future. 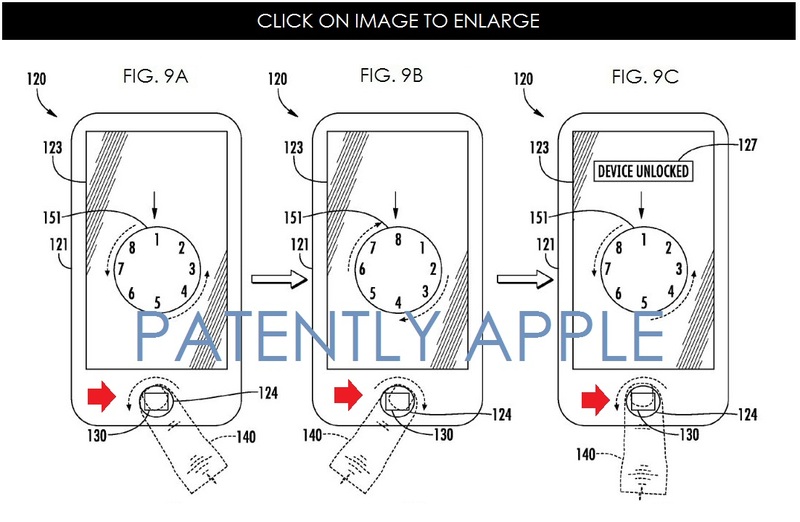 A new patent uncovered by Patently Apple reveals that the company might include motion input in the TouchID button. What this means is that you put your finger on the sensor and move it around to unlock your phone. Examples used in the patent include a safe-style combination lock, and a pattern code similar to the system in place on Android phones. 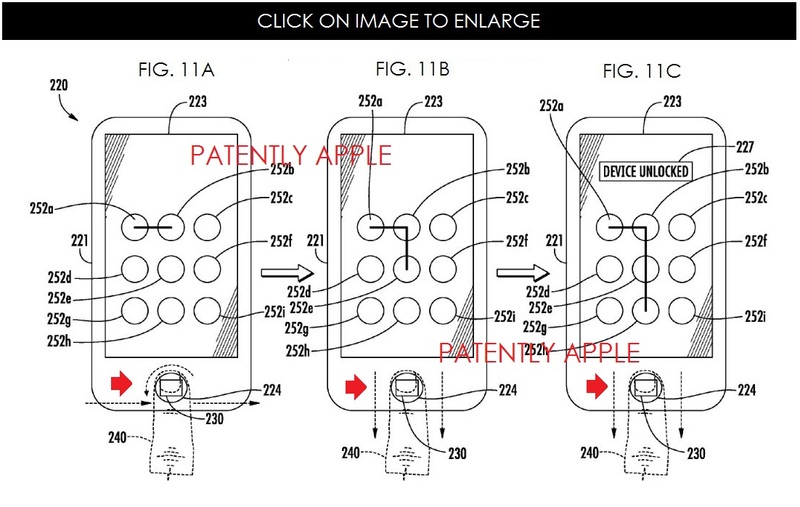 The patent’s full name is a bit of a mouthful: “Electronic Device Switchable to a User-Interface Unlocked Mode Based Upon a Pattern of Input Motions and Related Methods,” and it’s been credited as being invented by Dale R. Setlak, the co-founder of Apple owned AuthenTec. If you can quickly say that title five time without making any mistakes then you have my admiration. TouchID is already pretty secure, but the patent claims that Apple wants to make it even more secure without sacrificing any of the convenience. This is just a patent for now, so we have no idea if and when this will ever be implemented. That being said, it’s a great idea so, if it works, why not throw it into a future iPhone?